If you plan to do laser hair removal treatments at home and you have dark skin, than you should read these lines before you decide to continue. If you want the bottom line, than here it is: Doing home laser hair removal treatments over dark skin – can cause sever side effects. Doing any light based hair removal like regular IPL or laser may result in skin burns, blemish and certainly more agony and pain than results. “The Fitzpatrick Skin Type is a skin classification system first developed in 1975 by Thomas Fitzpatrick, MD, of Harvard Medical School. His skin classifications and its adaptation are familiar to dermatologists. 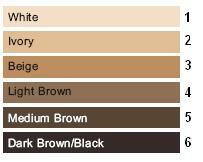 In order to determine your Fitzpatrick Skin Type, our chart measures two components (genetic disposition and reaction to sun exposure). Types range from the very fair (Type I) to the very dark (Type VI).” Read more.. Using a light based hair removal device over dark skin, will cause all the light energy to be absorbed by the skin and not by the hair. The skin will warm and heat instead of the hair, and inner and outer tissue burns may occur. Applying numbing gels when treating dark skin, is very dangerous. When the natural guard of the body (pain) is numbed even worse burns might be created. 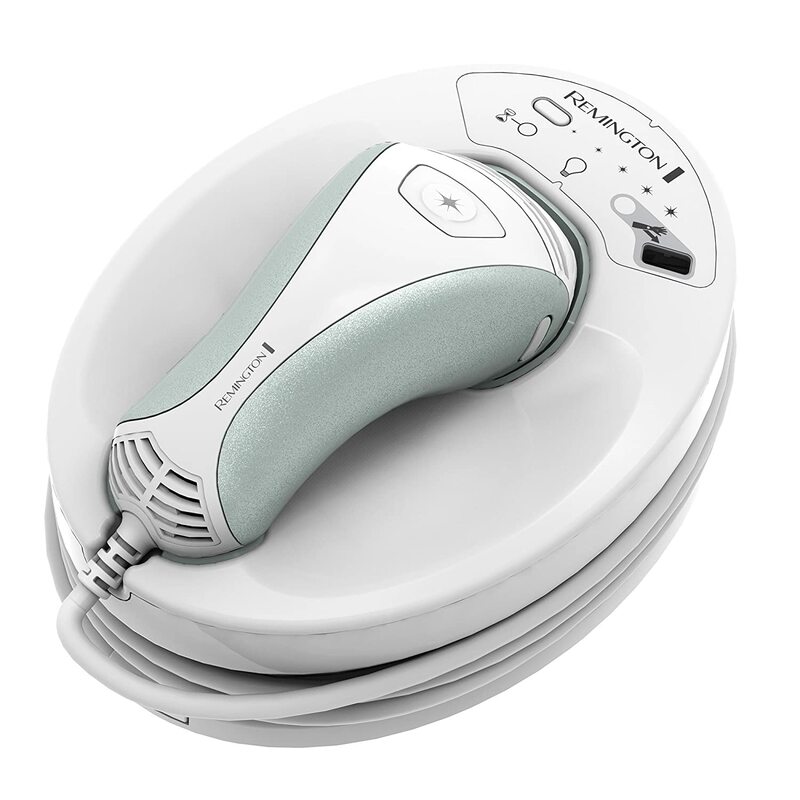 The chart below belongs to a most popular home LASER hair removal system. As you can see the device is NOT safe for dark skin tones (5+6). Even on the number 4 type the recommendation would be for a low energy setting (which means less effective treatments). There is currently only one at-home device which works on a different technology, which is allowed for dark skin hair removal treatments. This is the ONLY home device approved for by the FDA for treating black or dark brown skin. The Me my ELOS is a compact home based unit using the ELOS technology which is used by professional doctors around the world. “The «Elos» abbreviation stands for “electro-optical synergy” which is the combined effect of light energy and “useful” electric current. Other units, used for the laser hair removal are based on the single type of energy, while Elos hair removal combines both types, which makes it more efficient. During the procedure a high frequency light pulse coupled with an electric current is applied to the skin, penetrating the surface skin layers and reaching the hair follicles. 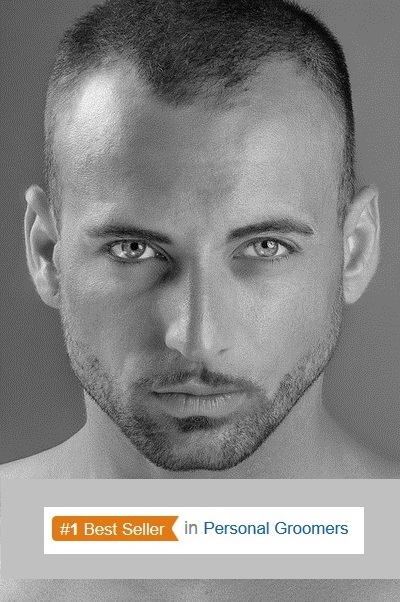 After the application of energy, hair follicles are destroyed beyond recovery.” Read more.. Using the Me over dark skin should also be done carefully. Follow the detailed instruction which arrive with the ELOS device box. 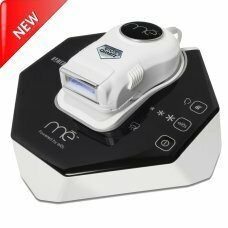 While all the hair removal lasers for home use, had been slicing their prices, the Me my ELOS cost has not been changed for a very long tim. Since the device is using the patented ELOS which no other system has, the Me has no real competitors when it concerns dark skin laser hair removal. Though thousands buy the system worldwide, it serves unique value to those with Indian Skin, Hispanic skin types, African American skin types and Native American skin types. 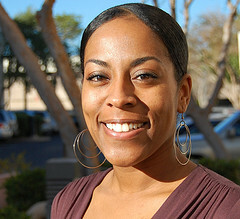 This entry was posted in Hair Removal News, Laser Hair Removal Risks, Skin Cancer Risks, Specific Body Hair Removal and tagged African American Laser Hair Removal Risks, Black Skin Laser Hair Removal, Brown Skin Laser Hair Removal, Laser Hair Removal at Home On Dark Skin, Me my Elos For Dark Skin by . Bookmark the permalink.